This poem pretty much sums up our feelings toward today and the rest of 2013, so we decided to chalk it up on the wall as a reminder! Thank you E.E. Cummings for the daily uplift. 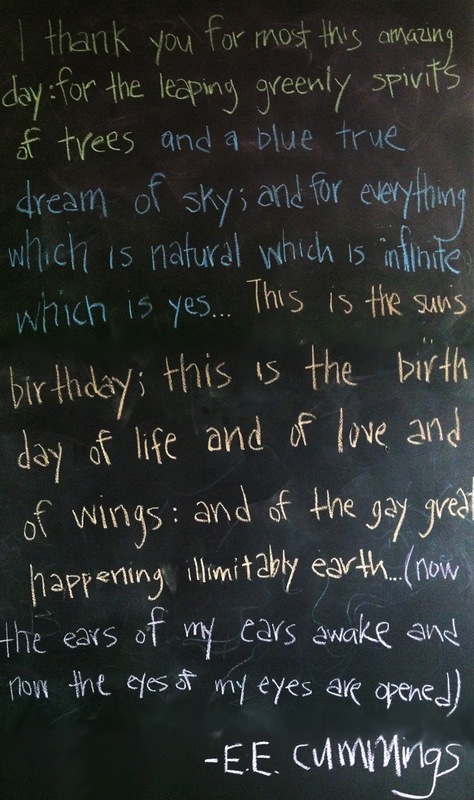 More poems to come on the chalkboard wall, so tweet your favorites to us at @Loomstate_org!